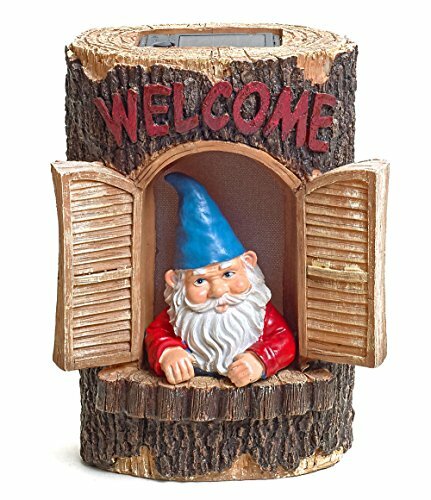 This wonderfully detailed gnome outdoor garden or porch statue has a solar powered LED light inside the stump . Gnome is looking from lighted ( at night ) window . The light turns on automatically in dark conditions, and lasts up to 10 hours under a full charge. The light is a clear LED, so the window casts a nice warm glow in a dark. 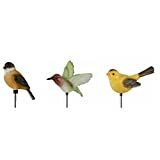 Made of cold cast resin, whole item measures 9 inches tall, 6.7 inches wide and 4.5 inches deep. Hand-painted, and shows great details.This statue makes a wonderful gift for any gnome collector.